600ml ABF multi-foam fire extinguisher. Suitable for use on flammable solids and liquids. Forms a flame-smothering seal. Suitable for use on petrol and volatile liquid fire types 5A 21B and 5F. 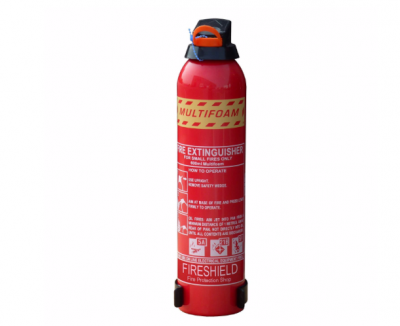 These are in stock for immediate despatch, Our 600ml fire extinguisher is for use on small fires type 5A 21B and 5F.